In a bid to fight climate change, the Delhi Government has proposed to increase the capital’s green cover from 20% to 33% by planting over 10 Lakh saplings. 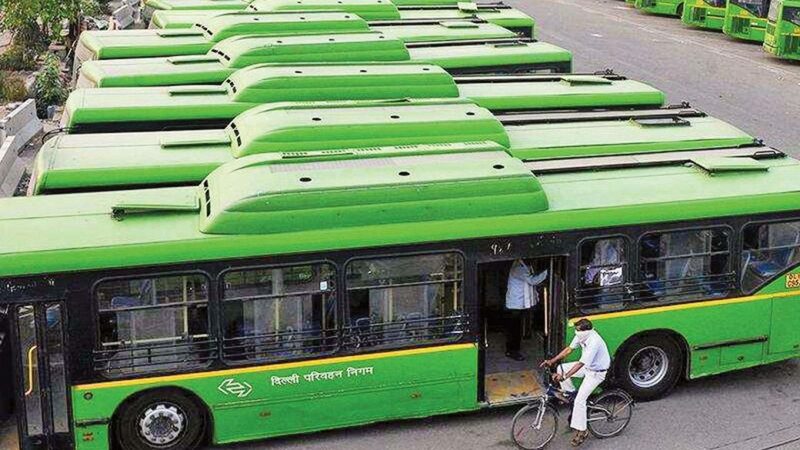 The government in its state action plan on climate change (SAPCC) which was submitted recently to the Union ministry of environment, forests and climate change in compliance with NGT’s orders, also proposed to increase the fleet of DTC’s CNG buses within a year. Currently, there are 4352 buses which the state government plans to increase to 6900. And apart from the DTC buses, 1758 cluster-scheme buses, 283 metro feeder buses, 802 mini private stage carriage buses, and more gramin sewa’s also to operate in the city. Not only the green cover, but Delhi plans to improve it’s solar energy capacity from 88 MW to 150 MW by the end of March this year! This is proposed to save nearly 100 MV of electricity per annum by using energy efficient lighting system on city streets. It also aims to decentralize waste-water treatment by bringing shopping malls and other construction projects into the ambit of pollution control laws. Delhi government has also initiated a strategic knowledge mission that aims to identify the challenges of climate change by ensuring focused research and creating awareness. That is good news indeed. A lot actually! More green cover, bettering transport system while caring for climate change, increasing solar energy, bettering water-treatment and investing in research! Wow, Delhi cares after all!